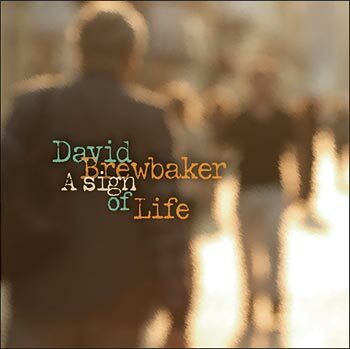 Known for keen storytelling and a hard-driving sound originating in American roots genres, David Brewbaker looks more than ever to blues and jazz fusion to lend exquisite style to the seven tracks on the newly released A Sign of Life. The debut album shows the songwriter’s lock on raucous, daring arrangements commanded by lyrics that are both moving and muscular. The inventive arrangements are a tribute to both his own studio efforts and the inspired collaboration with saxophonist Brian Graham of Sly Chi, Portland Maine’s award-winning R&B/Funk band. With its perfect blend of roots, rock and jazz, A Sign of Life will please devotees of Bruce Cockburn as well as Bonnie Raitt, Steely Dan, J.J. Cale, Mark Knopfler, and Dave Alvin, while at the same time reinforcing the artist’s own genre-busting sound through unsparing use of an eclectic musical palette. The CD was recorded at Brewbaker’s studio in Cape Elizabeth, Maine and mastered at The Studio in Portland (Tab Benoit, James Cotton, Patty Larkin, Ronnie Earl). A Sign of Life is available at Amazon, iTunes and CDBaby.